In conjunction with the spring planting season, IDEA Public Union, jointly with the Greenery Agriculture Association under the Executive Power of the city of Baku, launched program aimed at expanding green spaces of Baku and improving their quality. Numerous planting events will be organized in different districts of Baku. All events will have extensive media coverage. It is well-known that there are certain safety risks related to poplar trees. Some of these trees, while blossoming in the summer, release their seeds in a cottony fluff, which goes into people’s respiratory tracts and, in many cases, causes coughs and allergic reactions. The Lombardy poplar, which, unfortunately, was widely planted in Baku’s streets in the past, is now considered the most hazardous tree in the area. Since the poplar has rather soft wood, it is oftentimes damaged and soon starts to decay when exposed to moisture. On the other hand, poplar’s root system also quickly degenerates; the tree is often unable to withstand windy weather conditions and collapses, causing damage to the surroundings. Thus, planting and growing poplars in the city is not recommended considering the related health and safety concerns. Moreover, there have been cases when falling poplar trees resulted in people’s death. In 2013, a collapsing poplar tree hit a mother with a child, killing both of them. A similar case was reported in 2011, when a city resident, Elchin Azizov, lost his life. While the poplar trees had a healthy appearance in both incidents, the weak root systems were unable to hold massive tree trunks during strong winds. In many cases, by falling upon cars, homes, power lines or gas pipes, poplars may cause accidents and inflict damage to public and private property. Just in 2015, there have been over 660 registered complaints regarding poplar trees in emergency condition. In this regard, IDEA Public Union and the Greenery Agriculture Association under the Executive Power of the city of Baku commenced the project by removing poplars from the Nizami district of Baku, where there is a relatively higher number of such trees. It should be noted that the replacement of poplars with other trees carried out jointly by IDEA and Greenery Agriculture Association will be organized consecutively on E.Suleymanov, G.Garayev, Nakhchivani, Aliagha Kurchayli, Sharifli, Nasimi, B.Nuriyev, I.Ismayilov, K.Balakishiyev and Sh.Mirzayev streets as well as on Babek Avenue. Overall, approximately 1500 trees considered to be planted from February to April in the areas of the Nizami district that have poplars. Following the Nizami district, similar planting events will be organized in other districts of Baku. All events will have extensive media coverage. 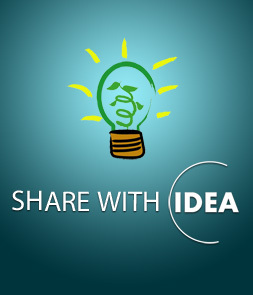 IDEA Public Union attaches particular significance to the development and protection of vegetation. Thus, since IDEA’s establishment, more than 5 million trees have been planted in the framework of large-scale tree-planting actions held throughout the country.